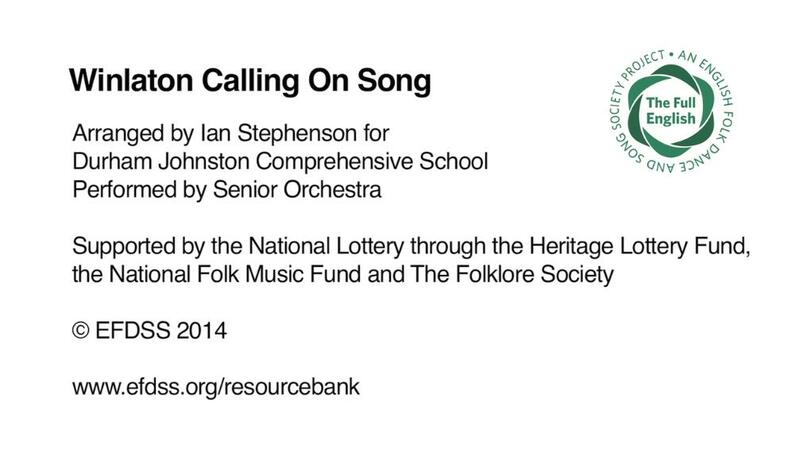 Two arrangements of a folk song from Winlaton, one for Wind Band, and one for Senior Orchestra, by Ian Stephenson. As part of The Full English learning programme, Ian Stephenson worked closely with Edwin and Jessica Holmes in the Music Department at Durham Johnston Comprehensive School, Durham. Three pieces of music were commissioned for the school ensembles based on original manuscripts of traditional tunes and songs from the North East. The pieces had their debut at a folk themed school concert on 27 March 2014. The film of the performance can be viewed from the video tab at the top of the panel. You can download both scores and all the parts for the Winlaton Calling On Song from the PDF tab.